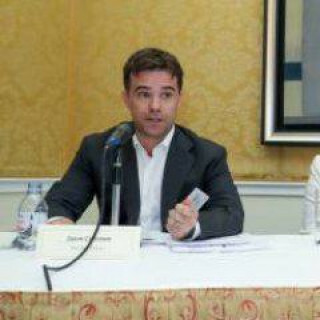 Former fund manager says current climate evokes Stalin era. Bill Browder, the founder of Hermitage Capital, warned foreign investors still active in Russia that they are risking their own lives as well as their clients’ money in an interview with bne IntelliNews. Browder, who has turned to human rights activism after once running Russia’s largest equity fund, said the recent arrests of a number of high-profile key insiders, investors and politicians evoked the beginning of the Stalin-era purges in 1937. “It has turned into Putin’s purges and 1937 over there, and anyone who does business there is risking their money, their clients’ money and the lives of themselves and their employees,” Browder, 54, said in an interview in Dublin, where he had traveled to launch an Irish Magnitsky Act, legislation aimed at sanctioning human rights offenders. Browder’s comments come after former Russian minister Mikhail Abyzov was detained by security forces last week on suspicion of embezzling four billion rubles ($62million) and after American Michael Calvey, the leading private equity investor in Russia, was arrested last month on suspicion of a multimillion-dollar fraud. Paul Whelan, a U.S. security executive, has spent four months in detention in Moscow on charges of espionage. The FSB also pounced last week on Viktor Ishaev, a powerful former governor of Khabarovsk region in the Far East, where the ruling United Russia party suffered a surprising defeat in a local election last autumn. Foreign investors yanked more than $1 billion from Russian funds in 2018 — the most since 2013 — and the trend has accelerated this year following the arrest of Calvey and as the US threatens to unleash a new raft of sanctions against the Kremlin. Hermitage Capital’s former fund manager peers, such as Prosperity Capital and East Capital, are “holding on for dear life,” said Browder, who once managed about $5 billion in Russia until his visa was revoked in 2005. The U.S.-born investor turned to human rights advocacy after his lawyer and tax accountant Sergei Magnitsky died in pre-trial detention in 2009 after uncovering a $230 million tax fraud orchestrated by a criminal gang who had stolen Hermitage’s shell companies. Like Hermitage, Swedish-owned Prosperity and East Capital have been pioneers investing in the Russian stock market since the 1990’s and retain offices there. Hermitage made a fortune by publicising its investigations into corruption in large state-owned companies like Gazprom, Unified Energy Systems, Transneft and Surgutneftegas. Browder thought Putin had his back in his crusade against corrupt Kremlin firms until he got rebuffed at Moscow’s Sheremetyevo airport. Some foreign investors are expected in Moscow this week to attend a conference jointly organised by the brokerage BCS Financial and the Moscow Exchange although several are understood to have gotten cold feet after Calvey’s controversial arrest. 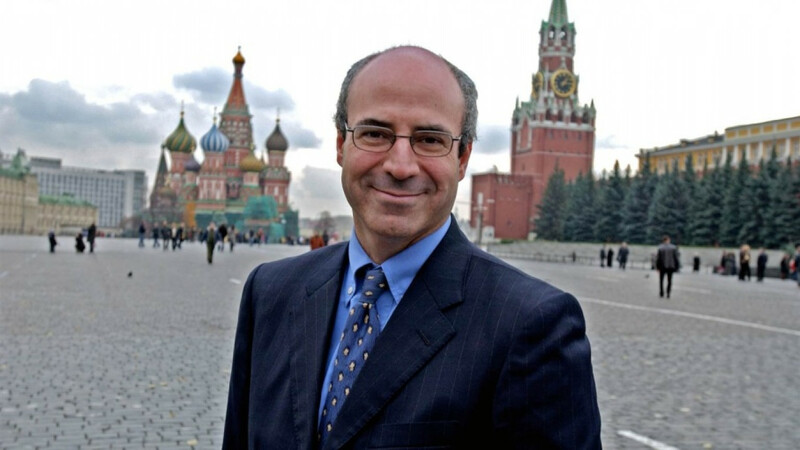 Browder, who claims his investing days are over, is spearheading a global campaign to expose corruption and punish Russian officials he blames for the 2009 death in a Moscow prison of Sergei Magnitsky, who he employed as a lawyer. Hermitage Capital has successfully lobbied the U.S. Congress, along with other European countries, to pass legislation freezing assets and denying visas to Russian officials allegedly involved in the Magnitsky case. Magnitsky was arrested in 2008 after raising the alarm over a $230 million tax fraud committed by Russian government officials. 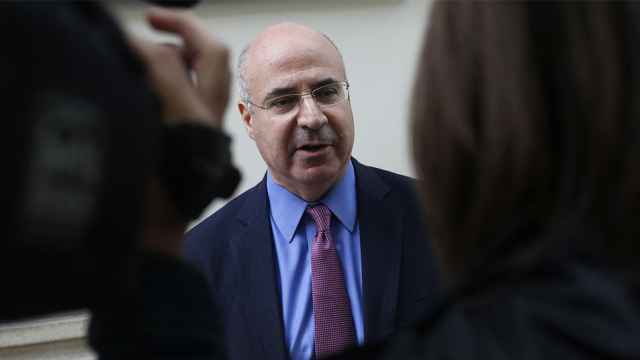 In testimony to the House of Commons, Browder said that Magnitsky had been tortured and killed “by eight riot guards with rubber batons” in 2009 in Moscow's notorious Matrosskaya Tishina prison, where Calvey now resides. The Magnitsky Act works on the principle that Russian fraudsters make their money at home and then spend and invest their ill-gotten gains in the West. The act seeks to deliver justice where the Russian courts have failed, through visa bans and the freezing of property, yachts and bank accounts. Browder alleges that a number of banks with units in the Baltics, such as Swedbank, Danske and Nordea, helped to launder the proceeds of the same tax fraud identified by Magnitsky. Swedbank’s stock has plunged about 25 percent since its scandal first emerged in February, while Danske’s shares have shed half of their value since the start of 2018. According to Browder, officials in Scandinavia have accused Hermitage of shorting some of the banks affected by the growing money laundering scandal. Hermitage estimates that there has been $1 trillion in capital flight from Russia over 20 years and “most of that money is of dubious origin,” according to Browder. The scope of the Magnitsky act has been expanded beyond corrupt Russian officials. For example, the US has used the Global Magnitsky Act to sanction 17 Saudi individuals involved in the murder of the Washington Post journalist Jamal Khashoggi. 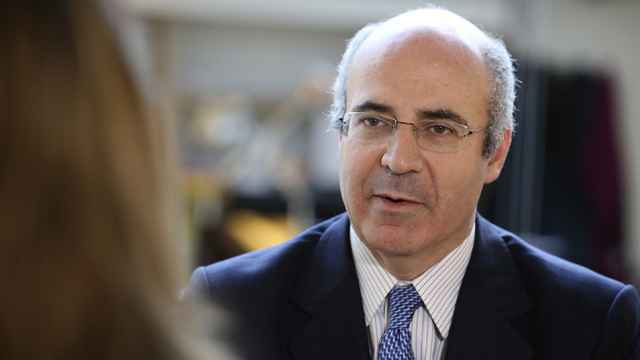 In the U.S. alone, Browder said the Magnitsky Act has sanctioned 49 individuals while the broader Global Magnitsky Act has clobbered 58 entities and 41 individuals. Hermitage Capital has become purely an advocacy organisation and no longer invests, according to Browder. There is a team in London of about 20 people involved, including lawyers, analysts and political specialists. However, the passing of the Magnitsky Act in the U.K. so far has proved to have been a damp squib due to the reluctance of the authorities to sanction anyone on the U.K. Magnitsky list. “All of the dirty money eventually found its way into London property and other assets but it’s the British regulators who don’t do anything about it and the police don’t prosecute,” said Browder, who surrendered his U.S. citizenship in 1998 after gaining a British passport, partly for tax reasons. 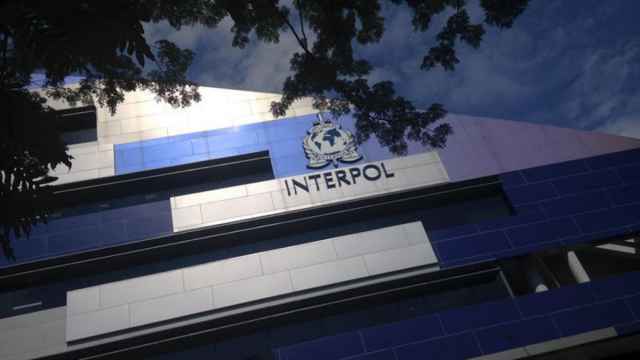 “It’s one of the most laissez-faire countries as far as Russian money-laundering is concerned. In Ireland, Browder is seeking cross-party support in a bid to revive a previous attempt in 2013 to introduce legislation. He met last week with a group of Irish MPs and Senators, led by the leader of the Social Democrats Catherine Murphy. Next up on the Magnitsky roadshow are Sweden, France, German, Italy, Denmark and the Netherlands but Browder is pessimistic about certain Russia-friendly states passing any such law. “I don’t have Hungary, Slovakia or Cyprus but we have most of the civilised European countries on the hook for this,” he said. This piece first appeared in bne IntelliNews. A senior senator has offered to keep tabs on outspoken Russia critics and name it after Bill Browder, the outspoken Kremlin critic. From Russia With News is a weekly news and analysis podcast produced by Moscow Times journalists. Prosecutors also alleged that Browder may have been behind Magnitsky's poisoning, arguing that he “undoubtedly had a motive to remove him."